A first glance at this beautiful fabric makes you think it is a water color painting on linen. 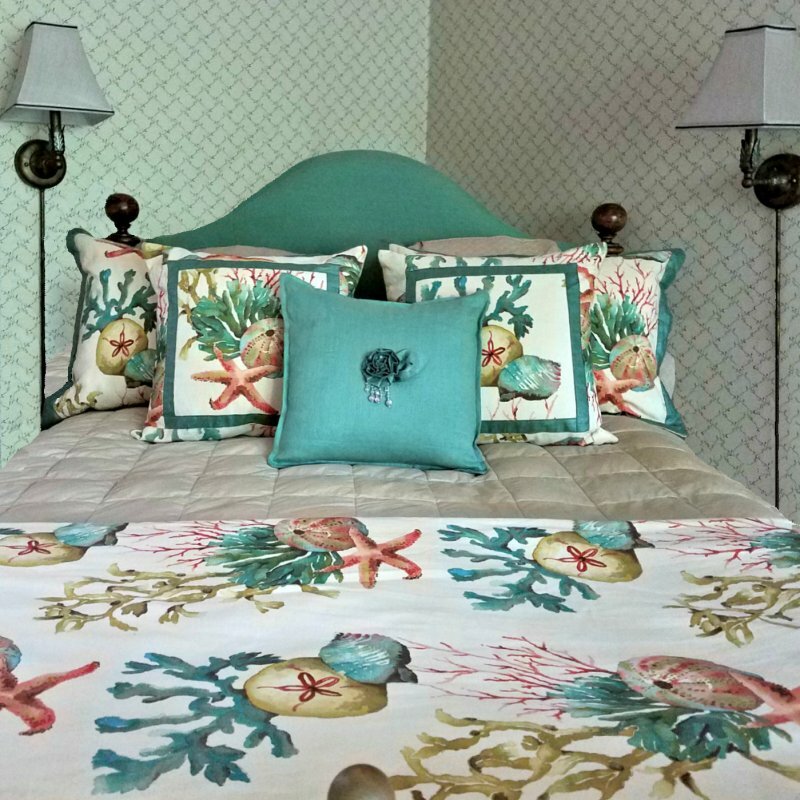 There area multitude of options for bedding, pillows, draperies, upholstery and table linens. And many of these fabrics mix with our previous groupings. 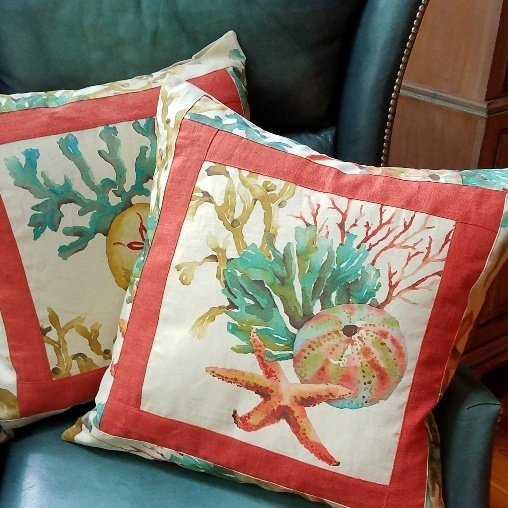 22×22 Pillow with SeaLife center and Coral Linen and SeaLife banding, 2 centers to choose from.